In 2011, Sergey Balovin, a Russian artist living in Shanghai, announced : painting portraits for everyone in exchange for anything useful. A large amount of people was involved in the project, which made even possible for the artist to completely stop using money and turned the experiment into an living art performance, stretching for years. In 2013-2014, the artist made the “In Kind Exchange” project round-the-world trip without spending a penny. He paid for tickets, accommodation and food with his artworks. In 2015, Claudia Beccato left her career as food editor and joined the project for the sake of traveling with the artist without definitive perspectives. Repair and restorations were carried out with their own hands and those of volunteers who agreed to help in exchange for food and shelter. 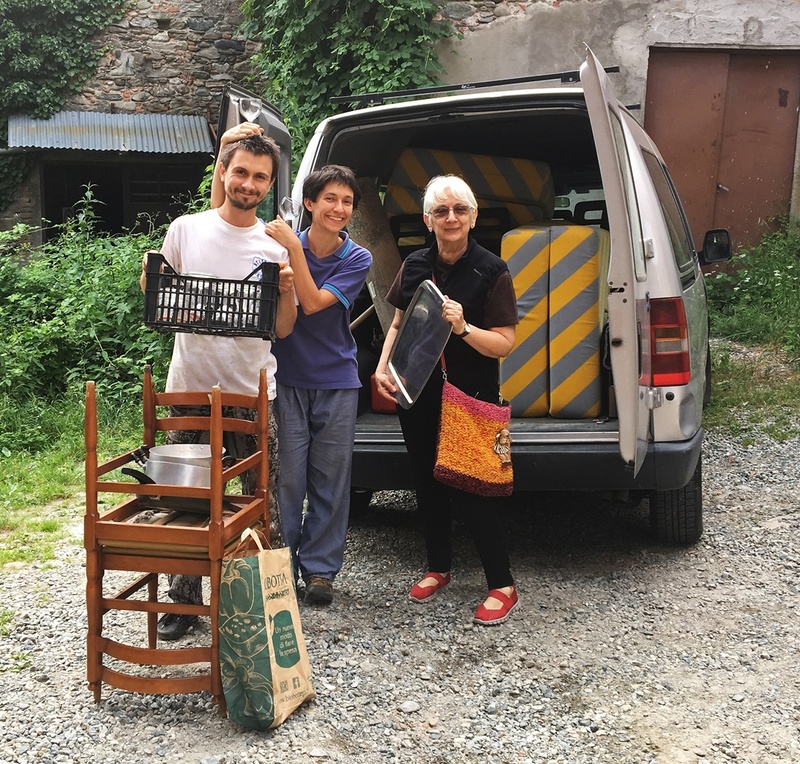 The necessary materials for repairs, furniture and household appliances were donated by people in exchange for artworks or just given freely. In 2016, Sergei Balovin and Claudia Beccato started to introduce themselves as the Balovin&Beccato collective inviting everybody to their wedding. They turned the celebration into an art project, which became the logical continuation of "In Kind Exchange". The Wedding could have put an end to the romantic story of a money free life-style, but the authors decided to go ahead and celebrate in the same fashion as their travels and the next step of the project was getting a house without money. From the idea to the material embodiment took several months. 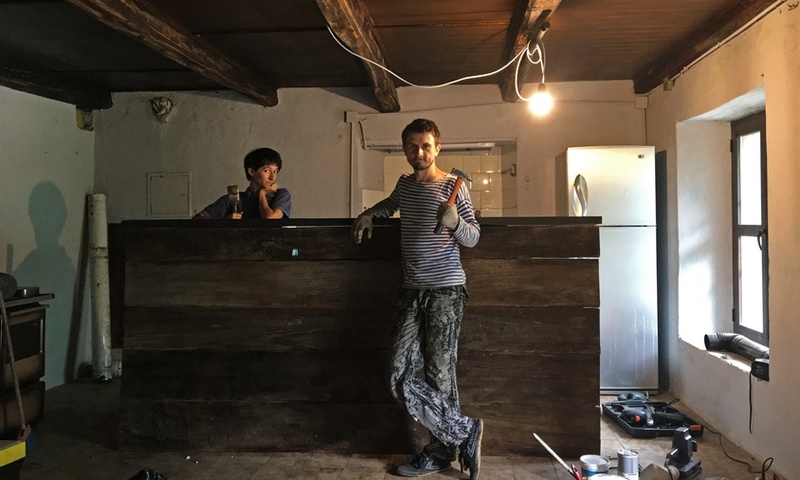 The artists made an agreement with the owners of an abandoned building and offered some renovation and care in exchange of free rent. Thus began the Stone Oven House project.